Cesc Fabregas celebrates after putting Chelsea 3-0 up from the penalty spot against Qarabag in the Champions League. Cesc Fabregas becomes the fourth Spaniard to score 20 goals in the Champions League. Raul, Fernando Morientes and Fernando Torres make up the rest of the foursome. READ MORE: A look at who Chelsea could face in the Champions League knockout stage. Cesc Fabregas aligned himself with some of the greatest Spanish strikers to ever grace the game with his goal against Qarabag on Wednesday evening. Fabregas formerly had somewhat of a reputation as a goal-scoring midfielder. 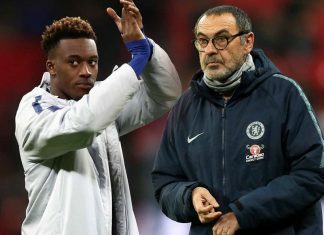 He produced prolific campaigns during spells with both Arsenal and Barcelona, but his highest goal-haul to date in a Chelsea shirt is just seven. Despite that, Fabregas was entrusted to take a penalty when Chelsea were 2-0 up against Qarabag in Baku – and made no mistake from 12-yards, even with the referee forcing him to retake the spot-kick. 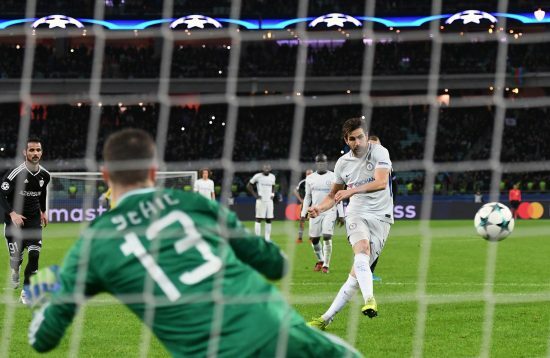 Cesc Fabregas scores from the spot for Chelsea against Qarabag. 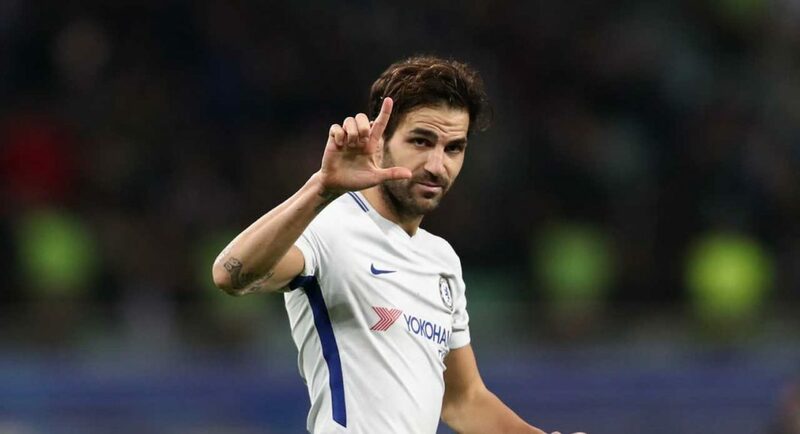 In scoring the goal, Fabregas joined an illustrious group of Spanish players to find the back of the net 20 times in the Champions League, as revealed by Opta. 4 – Cesc Fabregas is the fourth Spanish player to hit the 20-goal mark in the Champions League (Raul 71, Fernando Morientes 33, Fernando Torres 20). Arriba. Can he make it to number one? His goal against Qarabag drew him level with Torres’ career tally of 20 – but the other two will be much harder to catch. Morientes scored 33 goals in the Champions League, whereas Raul scored 71 – if Fabregas caught the latter, we’d be very impressed. Chelsea’s Cesc Fabregas has got a long way to go if he wants to match Real Madrid legend Raul.